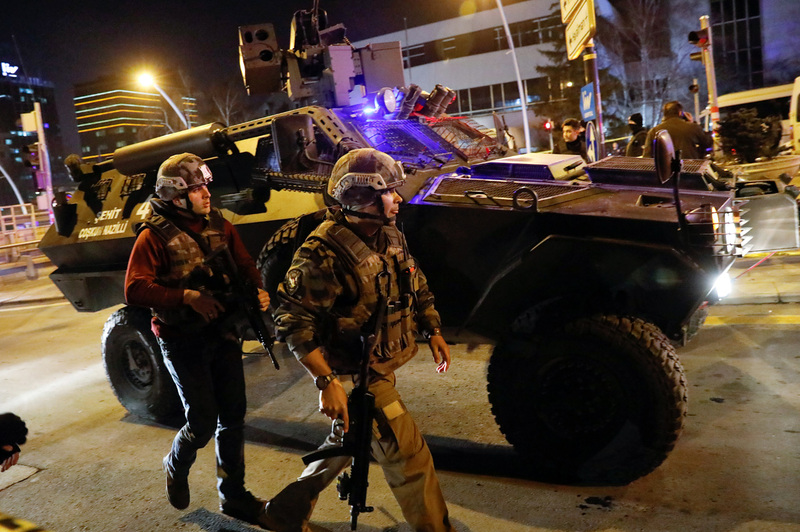 Turkish police secure the area near an art gallery where the Russian Ambassador to Turkey Andrei Karlov was shot in Ankara, Turkey, Dec. 19, 2016. Five people have been detained in Turkey over the case of assassination of Russian Ambassador to Ankara Andrei Karlov, NTV channel said on Dec. 20. It was earlier reported that the mother and sister of the assassin were detained, the channel reminded. According to the channel, law enforcement agencies also detained the father of the attacker and two more people. They will be brought from the city of Soke in the Aydin province to Ankara for questioning. Turkish Interior Minister Suleyman Soylu told journalists earlier that the Russian ambassador to Turkey was assassinated on Dec. 19 in the country’s capital of Ankara by former special task police force officer Mevlut Mert Altintas, born in 1994.